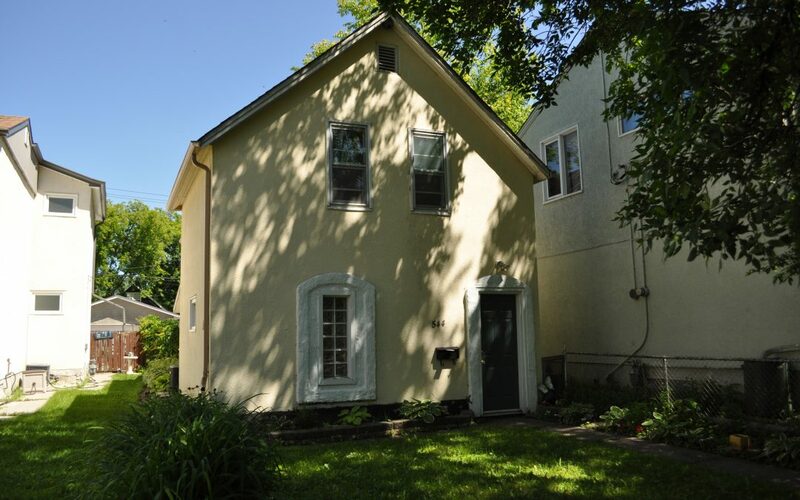 Located in the heart of old St Boniface this nicely updated home boasts a new kitchen and 2 newer bathrooms. Kitchen has plenty of cabinets, counter space, a tiled backsplash, wine rack, ice maker fridge, two pantries and a pass through bar top for an open concept social setting. Main floor has hardwood bamboo flooring, 10 foot ceilings and a den/bedroom with stackable laundry and a quaint ensuite 2 piece bath. Second floor has two bedrooms plus an extra den area. Updated main bathroom with new vessel sink, toilet, new flooring and tub and surround. Some upgrades include new electrical panel, wiring, furnace and roof is a 30 year shingle (2015). Great location within walking distance to Notre Dame Recreational Centre, Université de Saint-Boniface, Saint Boniface Cathedral, Esplanade Riel, St Boniface Hospital, The Forks and so much more.